Tis’ the season to focus on spending time with loved ones and getting in some quality rest and relaxation time. To help you get in as much relaxation as possible, we’ve created a top 12 list of holiday marketing tips that are easy to implement, will save you time, will get you prepared for 2012 and most importantly will make a great impression on your prospects and book of business. 1. On the first day of Marketing, Z57 said to me, enjoy your holiday! Most importantly – enjoy your holidays and prepare for a wonderful new year! Okay so that one is not so much a tip, more of a ‘pretty-please’. There are some very exciting new features and changes coming soon from Z57 and we’re working hard to make sure we’re ready to support you better than ever in 2012! We want you rested for the New Year. 2. On the second day of Marketing, Z57 said to me, use scents of the season. While staging open houses, be sure to add some holiday scented potpourri or oil plug-ins. It takes 30 seconds and visitors will warm up to the welcoming holiday, homey scents and will be able to visualize calling the property their new home. 3. On the third day of Marketing, Z57 said to me, personalize your marketing. Personalize your listing postcards and drip email campaigns to include messages of season’s greetings and holiday cheer. You’re already sending out your listing postcards to your book of business once a week so take an extra ten seconds and personalize your message! Realtors® who highlight relatable events become more personable to their clients and prospects, making them more likeable and ultimately more successful. 4. On the fourth day of Marketing, Z57 said to me, decorate for open houses. Set up some non-denominational holiday decorations at any homes that you’re currently showing. You don’t have to go overboard, just set out an item here or there – it will take just a few minutes and they can be inexpensive items. The more someone can visualize themselves spending special, quality time with family in a home, the more likely they are to become attached to it and the more likely you are to make a sale! 5. On the fifth day of Marketing, Z57 said to me, get involved in charity! Find a local charitable cause to support, share your plans across your social networks and encourage others to get involved. Many of you likely get involved in holiday giving already – just take a few extra minutes to share it with your network! You could collect toys for Toys for Tots or set up a fundraising page for the Salvation Army Holiday Giving campaign. Show off your big heart, gain followers on your social networks, build your referral base and do something good for others in a time of need. 6. On the sixth day of Marketing, Z57 said to me, add cheer to your website. Add a holiday photo to your website. Clients will be impressed that you have current, timely information on your site. It will take you less than a minute and will show the spirit of the season and the spirit of hard work – bound to impress! 7. On the seventh day of Marketing, Z57 said to me, send greeting cards. There are several online resources that offer free and paid e-cards and printable cards (see http://www.erealtycards.com/ ) for Realtors® to send out to their clients. With e-cards, you can often send to an email list that you simply copy and paste so it would only take a couple minutes to send out cards to your book of business. The gesture will be appreciated and it will get your name back in front of your potential leads in a very cheerful way! 8. On the eighth day of Marketing, Z57 said to me, connect with clients on Facebook. Use your Facebook page to connect with your network. Take a few minutes to ask questions about holiday plans, make suggestions on different community activities, recipes or craft projects and be sure to wish everyone a happy holiday season! Show that you’re interested in what your network is up to. 9. On the ninth day of Marketing, Z57 said to me, take some goodies. 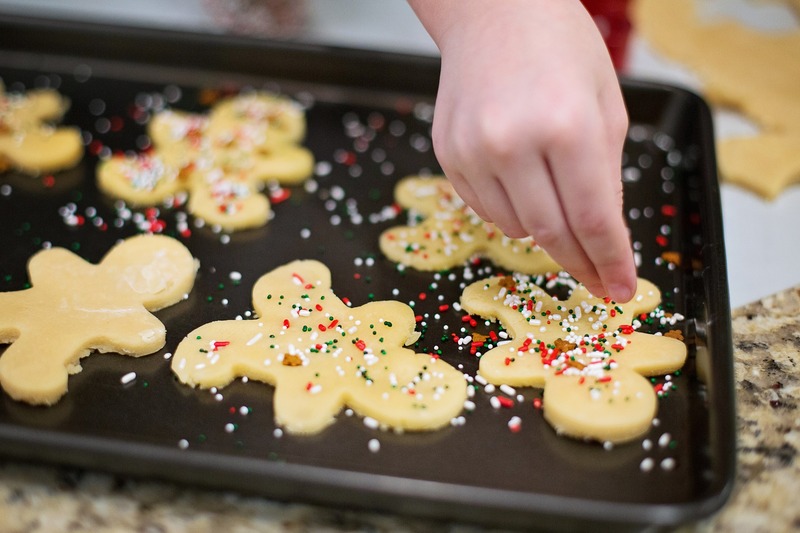 If you make any delicious holiday goodies, take leftovers along to your open houses or listing presentations. You’ve already done the work and a thoughtful gesture goes a long way in impressing a client! 10. On the tenth day of Marketing, Z57 said to me, clean up your leads. Start preparing for 2012 – clean up your lead database. Set aside a little time to purge old leads and add any new ones you’ve found on Facebook or through other resources. Make sure you’re starting out the year fresh and with your best foot forward. It will save you tons of time in the New Year! 11. On the eleventh day of Marketing, Z57 said to me, schedule early. Get any marketing campaigns that will be going out between now and the New Year ready to launch now. You’re going to be busy visiting family and celebrating the holidays so be sure to automate as much of your work as possible to free up your time. 12. On the twelfth day of Marketing, Z57 said to me put holiday lights on your yard sign. It will only take you about five minutes to get it set up and you’re guaranteed to get inquisitive visitors picking up flyers as they drive around neighborhoods checking out holiday lights with their families. Want to get the New Year started off right? Create the perfect marketing campaign next year with Z57.